I usually do my grocery shopping on Sunday’s or early Monday morning so I’ve decided to move my meal planning post to Sunday! 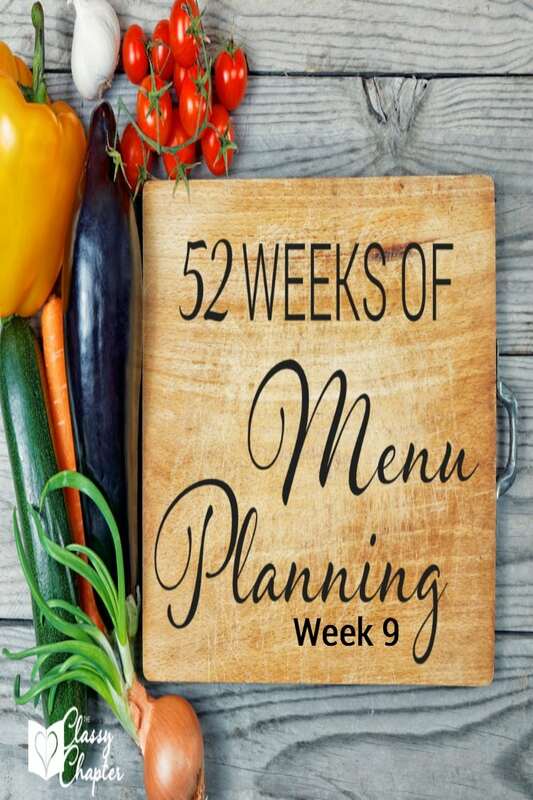 I hope you enjoys the menu this week! Monday – Cheesy Burrito Casserole I love burritos and I’m interested to see what this will taste like. I’m willing to bet it’s amazing. Tuesday – Sweet & Sour Chicken All I can say is yum! I love sweet & sour chicken. Wednesday – Tomato and Macaroni Soup I’ve never tried anything like this before but it sparked my interest. I can’t wait to taste it. Thursday – Eggroll in A Bowl Seriously, this look delicious. I’m a big fan of egg rolls so this should be a fun dish. Friday – Baked Chicken with Broccoli Easy dishes are a must in my book and this one is very easy. Saturday – Baked Spaghetti The idea of baked spaghetti sounds so good. I’m sure the kids will love this dish. Sunday – Chicken Salad Sandwich I’m hoping to have some left over chicken from other dishes and this will be a great way to make use of leftovers.